Berwick-upon-Tweed is England’s most northerly town, sitting midway between Edinburgh and Newcastle at the mouth of the River Tweed. This Elizabethan walled town with a thrilling military history, on an estuary with golden beaches and a rich variety of birds and wildlife; is a perfect mix for a rewarding visit. Berwick has broad sandy beach to explore, in Spittal, with a promenade, play park and splash-park where the kids can burn off some energy. Less than three hours from London by rail, Berwick is on the East Coast mainline calling at Newcastle, Berwick-upon-Tweed, Edinburgh and Aberdeen or alternatively by car take a leisurely drive and enjoy a scenic drive to Northumberland from the south passing the famous Angel of the North at Gateshead and travelling on the A1 northbound, or, by heading southbound into Northumberland from Scotland where the A1 crosses the magnificent River Tweed. 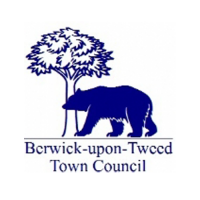 There are currently no upcoming Teenage Market events in Berwick-upon-Tweed.